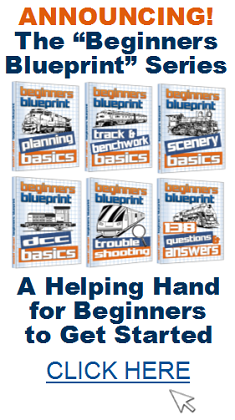 Train Operating Sessions – Do You Have A System? It would be interesting to hear some different views on train operation methods. There will probably be many differing views. You can add your comment or suggestion using the COMMENTS link below. 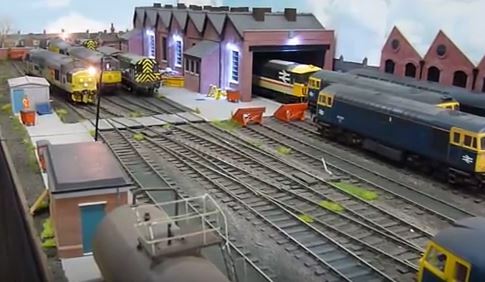 For example; when you operate your trains do you start each session with the trains staged, or have you masterminded your operations plan thoroughly enough to enable you to complete each op session, and then start off from precisely where you left off the night before? 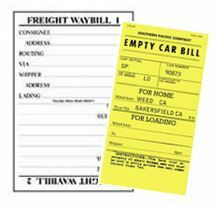 When you operate your railroad alone, do you use waybills, car cards, and a train sheet so you can begin the next time at the mark where you concluded last time? Or, when you operate your trains with friends, do you start off each op session with the first moving train in the morning? This is presuming you have pre-positioned trains in the yard so that crews have a ‘soft’ start. Do you finish every session with the last train for the night? Or, when ‘time is up’ do you pick-up the session at a later stage? 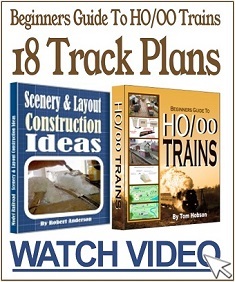 Or, do you prefer to just run your trains with no real system in mind. To be honest; there really are no right or wrong answers, so long as you are having fun and don’t cause a pile-up or derailment that could damage your trains or layout. Those are just some possible scenarios that you might personally adopt, or that you might have at least considered. 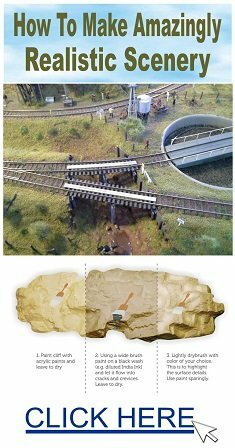 Share your thoughts on op sessions and how you personally like to operate the trains on your layout by adding a comment (or advice) in the COMMENTS below this posting. 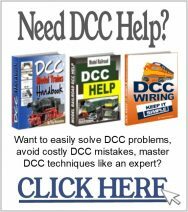 6 Responses to Train Operating Sessions – Do You Have A System? I’m a rookie to train operations. The only style I’ve been exposed to is with card cards, waybill, prestaging locals and mainline trains in yards, prestaging cars in businesses for the locals to work. I love this style. But I am open to other styles as well. I also need to let you all know that I don’t have my own layout at this time. I do operations at train clubs I belong to. For some years now I have been wondering why we don’t convert to battery powered trains powered by lithium rechargeable batteries. The loco could be controlled by a transmitter as is used for RC planes. The loco could simply be parked on a battery recharging section of track when the battery runs down. Imagine the headaches removed when track no longer needs to be wired. Are any manufacturers considering this? Operating “Style” depends on a number of factors, mainly whether the line is a traditional freight line as used in Europe up to the 1990s and the US to the present day, a modern block freight line for folks with a basement 100 yards long, a passenger line or a mix of the two. The playing cards is great for local freight operation. Passengers need a timetable. The morning and evening peaks, commuters one way Empty stock the other. Sleeping cars running overnight ( and back empty in the day on some lines, 2018 GWR in UK) Some branch trains used to run with 4 coaches in the peaks 2 off peak. Playing cards are great for shunting, if you can identify which wagon they relate to. 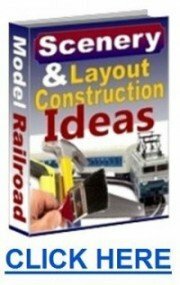 On the full size they try to get all the cars for a given station or siding together in a block, you can do it before departure from the main yard as I do, or at an intermediate station, loop or siding. They even swapped wagons between trains at wayside stations like Okehampton in the UK using the train engines for the shunting, bit of a nightmare with a BoB or WC. I HAD N SCALE BOUGHT DIGATRAX BUT I JUST COULDN’T UNDERSTAND HOW TO SET IT UP SO I ENDED UP BUYING A NCE CONTROLER INSTEAD. NCE IS A LOT SIMPLE THEN DIGATRAX. STILL NOT RUNNING YET WILL BE SOON.